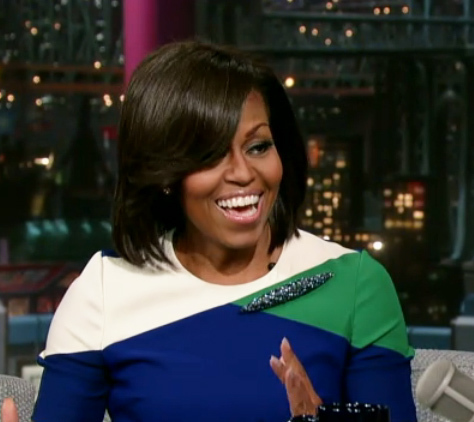 Two First Ladies Shine So Bright on TV Monday Night! Two First Ladies shared the TV screen on March 19th, who inspired the “Arms of a First Lady” Fitness DVD! 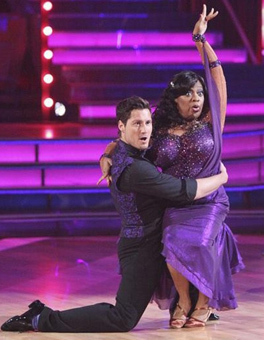 Sherri Shepherd premiered on “Dancing with the Stars” & Michelle Obama entered the Ed Sullivan Theater at 2:49pm, to a military filled audience for her charming & witty interview debut on David Letterman! (SusieQ FitLife was first to report on Facebook). Mrs. Obama sported off a bright, sleek blue, green & white color-block dress with her State of the Union address brooch; following her success on Ellen, Jimmy Fallon & the Jay Leno Show! Whether Michelle was dancing, performing a sack racing/push contest or encouraging Mr. Leno to eat his greens, she always appears with style & grace! (See full images below). First Lady of the United States (FLOTUS) kindly reminded Letterman “This isn’t Oprah!” as the conversation took a serious turn while speaking about her father. Michelle also, expressed concern that families need to have better access to fresh produce within their neighborhood to provide good nutrition. Parents need to have information on the high levels of sugar & sodium, in order to do the best for their children. The average American child is viewing 7.5hrs of TV a day, with little to no activity. “Let’s Move!” promotes kids to become physically active, allowing them to increase mental focus & performance. Michelle Obama was personally inspired to create “Let’s Move!” to improve the health of her own family & reduce the intake of sugary drinks & eating out. “It is easier to improve the habits of a child” says, Mrs. Obama, while posing the question to children; “Would you ever consider watering a plant with a can of soda?” The answer becomes quite clear that we need to take a second look at what we are consuming ourselves. Our First Lady stresses the importance of having water, vegetables, sunlight, air & the need for us to open up the conversation in this country to evoke positive change for the sake of our children. 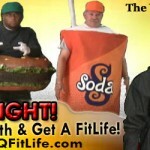 This mantra is reminiscent of SusieQ FitLife’s viral video FOOD FIGHT! The FLOTUS campaign is developing positive & progressive changes overtime & SusieQ FitLife will join ARMED Forces with Mrs. Obama; with the primary goal of improving the health of our children & the FitLife of many people for the Let’s Move initiative! 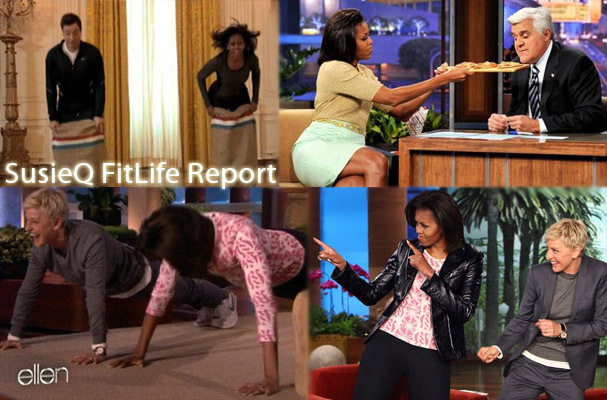 Michelle Obama on Late Night & Daytime TV Shows from SusieQ FitLife!